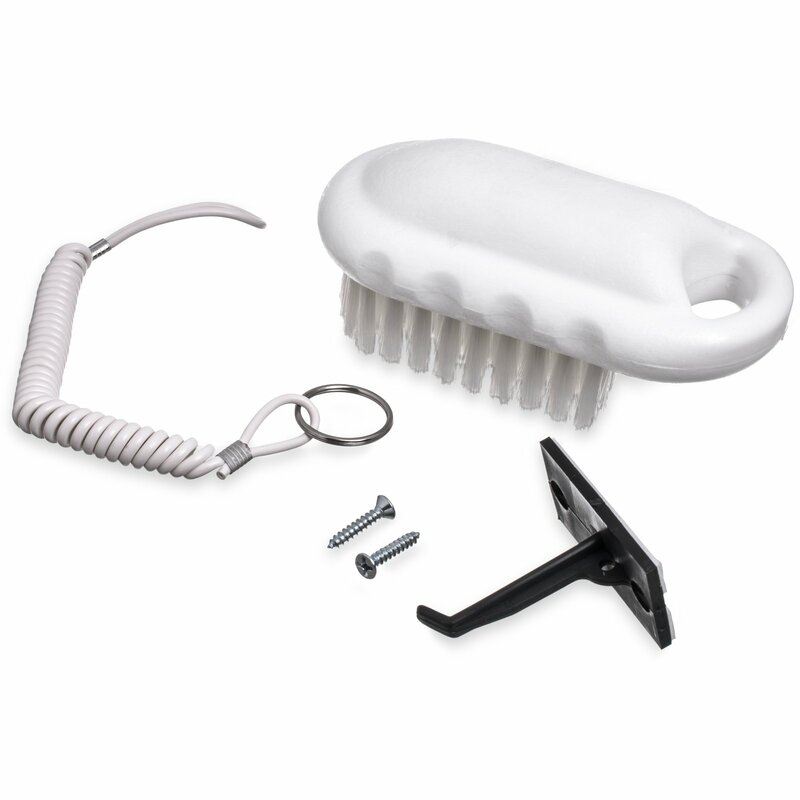 Hand and Nail Brush Kit, White, 1/Ea. 5" x 2" hand and nail brush designed to promote vital cleansing of hands for food service personnel. Stiffer center bristles offer a more thorough cleaning under fingernails and longer bristles along sides clean fingers top and bottom. Kit includes brush, cord to secure brush in place, hanging hook and adhesive backed hand washing instructions decal in English and Spanish.